The Justice Committee takes evidence on the Offensive Behaviour at Football and Threatening Communications (Repeal) (Scotland) Bill. That's all folks......I'm back at 9.30am with more from the inquiry into homelessness. 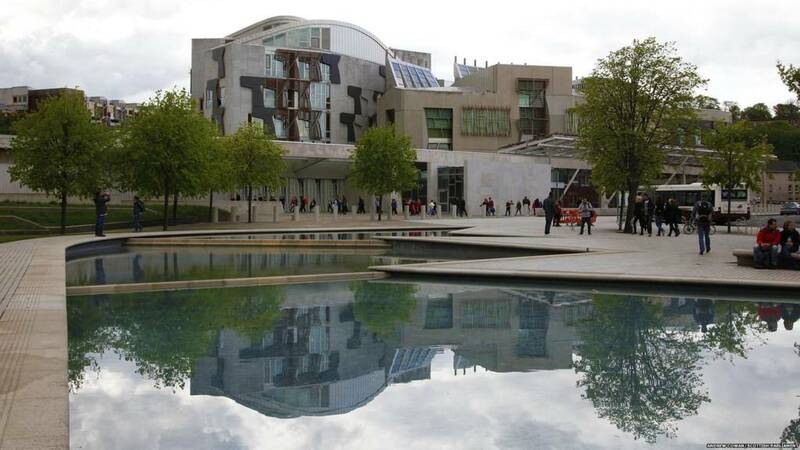 Transport and Islands Minister Humza Yousaf says he is happy to meet with the unions and MSPs to hear the case for a public inquiry, which he has yet to settle on. Mr Yousaf says Airbus have a lot of work to do to rebuild trust in the Super Pumas. He says the passengers must have confidence that everything has been done to minimise the risk of flying over the North Sea. The minister says Airbus has worked hard since the accidents but it must now work to return trust. He strongly advises Airbus and the regulators to listen to the workforce. The boss of Airbus has flown into a helicopter exhibition in London in a Super Puma H225 to demonstrate that the aircraft is safe for passenger use. The helicopters were grounded after a crash in Norway where the rotor blades became detached from the fuselage. The accident in April last year killed 13 people, including Iain Stewart from Laurencekirk, Aberdeenshire. The 225 and L2 aircraft have since been cleared to fly but no North Sea operators have reintroduced them. Airbus said it has a full understanding of the cause of the crash and, after introducing a range of measures, is confident it could not be repeated. Emerging from the helicopter, Airbus CEO Guillaume Faury made a statement but would not answer questions. Transport and Islands Minister Humza Yousaf expresses condolences and sympathy to those affected by the tragic accidents involving Super Puma helicopters. Mr Yousaf says there are very few journey's to work as hazardous as those taken by those in the oil and gas industry. He says the tragic accident of Norway last year highlights the risks of helicopter flights over the North Sea. Mr Yousaf says the investigation continues into that accident. He says any decision to lift restrictions on flying are made by the regulators like the UK and Norway CCA. The minister calls on the regulators to work with the workforce and the pilots. Green MSP Patrick Harvie says most people travelling to work on a bus or train would absolutely recognise the importance of trust in the safety that oil and gas workers have a right to expect. The Scottish Green Party co-convener says the question of trust is something everyone can relate to. He says if the trust has not been rebuilt, that in itself is an unacceptable aspect of someone's working conditions. Mr Harvie asks how that trust can be rebuilt without full transparency and he too calls for a full independent inquiry into Super Pumas. Labour MSP Elaine Smith says her son is applying to companies in the oil and gas sector so she may soon have a very personal interest in helicopter safety. She says the Super Pumas have an unacceptable safety record. Ms Smith says the facts speak for themselves, Super Puma crashes have been responsible for the deaths of 33 people in North Sea crashes since 2009. She says the RMT are calling for a full independent inquiry to restore confidence. Ms Smith says many workers call the Super Puma a "flying coffin". Offshore workers' concerns about the potential return of Super Puma helicopters are being raised by MSPs. The helicopters were grounded after a crash in Norway when the rotor blades became detached from the fuselage. The 225 and L2 aircraft have since been cleared to fly, but no North Sea operators have reintroduced them. Labour's Lewis Macdonald led the Holyrood debate, and highlighted a petition by the Unite union opposing the reintroduction of the Super Puma helicopters until the root cause of the Norway crash is established. Airbus insists the model is safe to use. The boss of Airbus flew into a helicopter exhibition in London in a Super Puma H225 earlier this month to demonstrate that the aircraft is safe for passenger use. In September, a survey of workers conducted by Airbus revealed 62% of workers would be unlikely to fly in Super Pumas again. SNP MSP Gillian Martin says the death of 13 people last year off the course of Norway affected many workers who feel they would not feel safe traveling in a Super Puma helicopter. The SNP MSP advocates extreme caution over this helicopter which means not using them again given its current faults. In 2016, offshore helicopter flights consumed 89,000 flight hours and transported over 716,000 offshore workers. This is half the number transported in 2014, since when over 30% (13,000) of the offshore installation workforce and 160,000 across the supply chain have lost their jobs. In the North Sea since 2009, 65 workers and crew have been rescued and 33 others have lost their lives as a result of helicopter accidents involving Super Puma helicopter models. We believe that if this was the safety record of a public transport service, it would have been withdrawn long ago. In the UK sector, there have been five helicopter accidents, two fatal since 2009 taking the lives of 20 passengers and crew. All have involved the Super Puma model, the so-called ‘workhorse’ of the North Sea and the international oil and gas industry. There are over 30 Super Pumas licensed to work in the UK sector, accounting for around one-third of the offshore helicopter fleet. Conservative MSP Alexander Burnett says Airbus should be allowed time to go around all the companies that use the helicopters, to give them time to speak to workers and restore confidence. Mr Macdonald concludes saying the views of the workforce must be heeded by all concerned. Labour MSP Lewis Macdonald says flying in a helicopter offshore is not like riding a bus and highlights the dangers. Mr Macdonald says taking a chopper across the North Sea is not the same as flights at an air fare. He says workers must fell the aircraft they are flying on is fit for purpose. Mr Macdonald says the Unite union has collected thousands of signatures that speak to the fact workers do not feel that is the case. CAA head of airworthiness John McColl said: "This is not a decision we have taken lightly. It has only been made after receiving extensive information from the Norwegian accident investigators and being satisfied with the subsequent changes introduced by Airbus Helicopters through detailed assessment and analysis. "The safety of those who travel on offshore helicopter flights is a key priority for both the UK and Norwegian aviation authorities. "We would not have made this decision unless we were convinced that the changes to the helicopters and their maintenance restore the required airworthiness standards."